More often than not, a vast majority of us see our bathrooms as nothing more than functional. We will put a lot of time and money into styling up other areas of our homes - whether that is crafting the perfect minimalist bedroom or the farmhouse kitchen of your dreams. 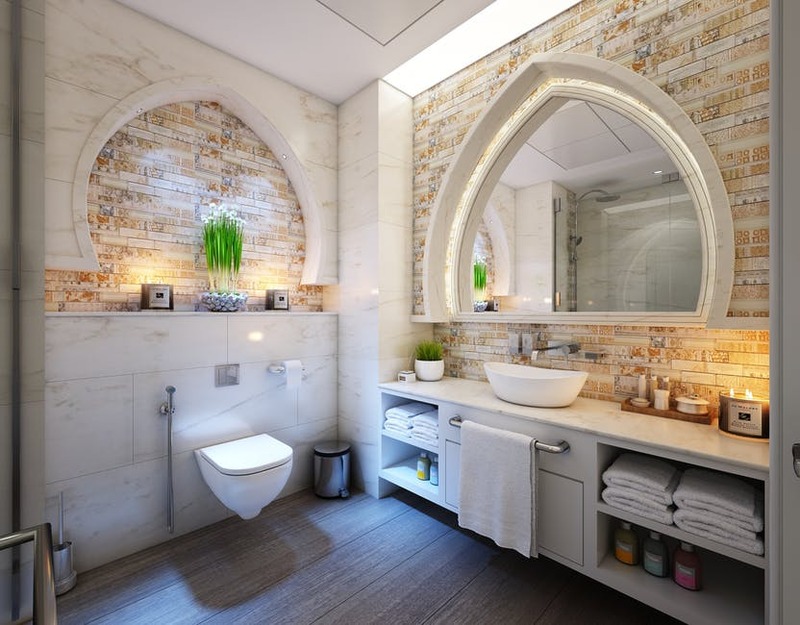 Our bathrooms, however, do tend to get forgotten in this 'glow up', and many of us just stick to the usual fashion of basic white porcelain and tiles. However, bathroom design can be fun and creative - even if you think it can't be. Plus, there are many different design styles to choose from, as it's always best to go into any renovation with some theme in mind. Here are a few examples to get your interior inspiration senses tingling. Thanks to primarily being based on porcelain and materials like stainless steel, bathrooms do naturally lend themselves to suiting modern design. You may have seen a bunch of dreamy contemporary bathroom designs online that look effortless sleek and classy, and wonder how you too can get that look. Thankfully, it's easier than you may think, as sites like www.drench.co.uk have an abundance of beautiful bathroom essentials for even the most compact of rooms. Keep things fuss-free with a basic colour scheme - whites and greys are good options that will give your room an airy kind of feel. Additionally, make an effort to ensure that all your hardware is matching, as this sort of continuity is what helps to tie a sleek modern look together. If your taps are silver, make sure your shower head, towel rail and flush button are silver too. If you have a beech vanity cabinet, make sure all other surfaces in your bathroom are made from the same wood. For a decadent bathroom with a twist, why not take some inspiration from washrooms of days gone by? Edwardian and Victorian styles can work especially well in a bathroom and can add a touch of luxury to an otherwise uninspiring room. Choose floral accessories, such as dainty china storage jars and pots, and if you have cash to splash, consider investing in a period-style roll top bath. You can also get some great vintage-inspired vanity cabinets and mirrors from various retailers, which showcase exceptionally intricate detail. Many of us are well accustomed to the idea of a statement feature in the living room or the bedroom, but why not incorporate one into the bathroom as well? Ditch your dull, boring tiles for something more impressive, such as a mural or some high-definition wallpaper. Wallpaper in the bathroom might sound like a disaster waiting to happen, but providing you get the right type and apply it correctly, there's no reason why it can't work. You could also go for another quirky feature, such as exposed pipework, to add a bold industrial feel to your bathroom. Simply paint the pipes the colour of your choice to create a unique focal point.